Lot 168 Brass BR Oval locomotive Tender Plate. 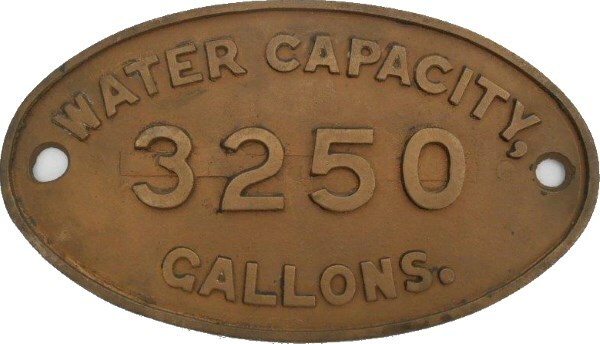 "WATER CAPICITY - 3250 - GALLONS". Restored Condition.